The Albumen Tarot, seeing the future through old images. for you to get amazing readings. The Old Maidish Lenormand is a clear and beautiful deck with big and bold imagery that will make your reading easy and quick. The clear uncluttered background ables the main symbol of the card to be center of attention, instantly triggering your intuition. In a Grand Tableau, Moreau Tableau, Monthly Tableau or any big spread, the deck works its magic, pleasing to the eye, fast to see, like reading words from a story book. To all this, you will find extra Man, Woman, Child, birds, fox, stars as well as a dog and a cat card. A definitely pretty and functional deck that will become your to go deck for all your session. Poker-size of 2.5” x 3.5” (63.5mm x 89mm)(50 cards) / with card Meaning / Packaging: Clear plastic case . A magical combo that will bring you delightful wisdom. 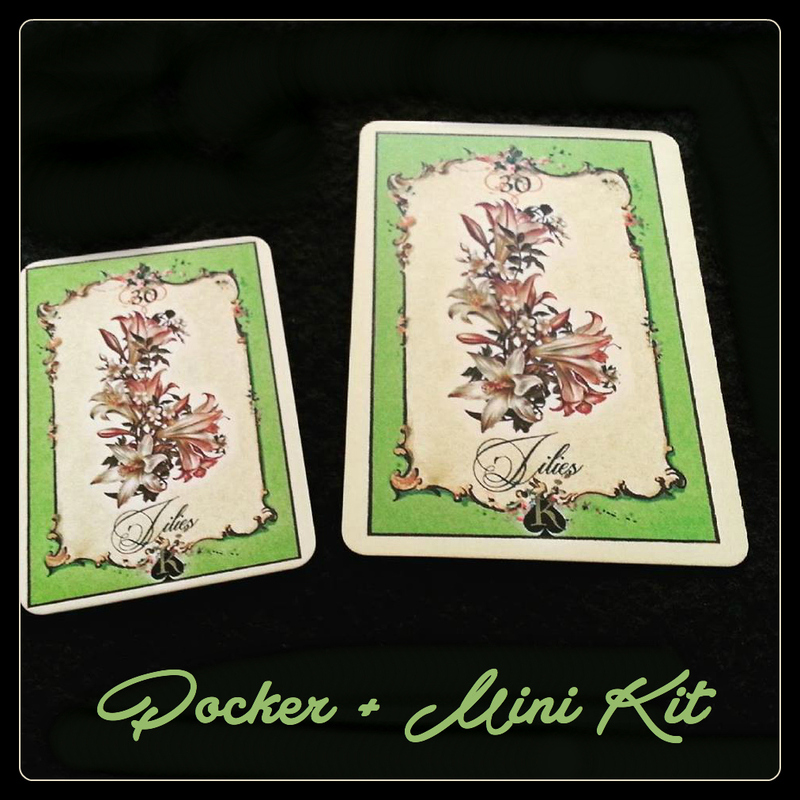 The bundle contains a Poker Old Maidish lenormand size 2.5” x 3.5” (63.5mm x 89mm)(36pcs) and a mini deck 1.75” x 2.5” (44.45mm x 63.5mm) (36pcs) with a Card meaning. Friend me on Facebook, subscribe to My Youtube Channel and access to my free Lenormand How to videos. Subscribe to the Monthly Newsletter, which will inform and inspire you on a monthly basis with all things about card reading and how to use them in a practical way and get the best out of it.